Home English Rajadhi Raja for Vijay Devarakonda? In South, cinema heroes are worshipped as demigods. Couple of hits make them idols and fans hail them with epithets. Vijay Deverakonda has emerged as gen-x superstar with back to back blockbusters. With Geetha Govindam, he joined 100 cr club. 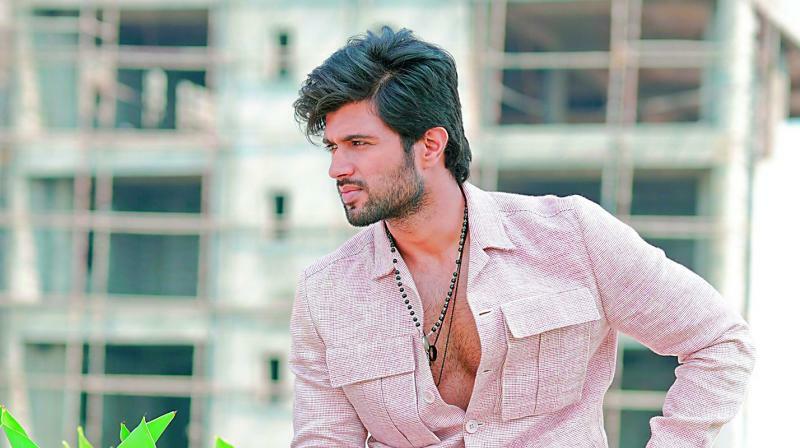 Vijay Devarakonda is set to debut in Tamil with NOTA. The political drama is expected to create tremors in both the industries. Fans started calling him Super power star. In recent interview he was asked how does it makes him feel. Vijay said he would loke to be called Rajadhi Raja. Anchor suggested ‘Devadhi Deva’. Vijay said either of these is fine. So its going to be Rajadhi Raja or Devadhi Deva Vijay Devarakonda.